I personally love autumn/winter and I find it a big old shame that Australia is cheated from receiving a proper 'winter' treatment. It really doesn't get that cold here, yes we have our days but most of the time you can get away with a light jacket and some cute stockings. But despite the lack in cold weather, I still like to switch up my make up and nail colour to match the weather. Call me cliche, but I love marking the beginning of a new season by bringing out certain shades, textures, and finishes. 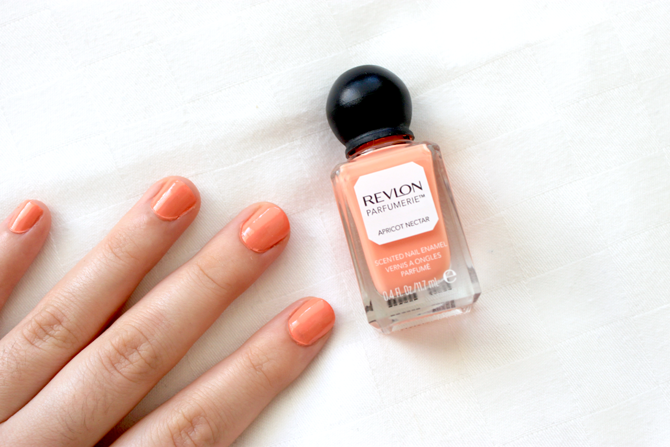 This time around I have found myself playing with the new (in Australia anyway) Revlon Parfumerie Scented Nail Enamels. These were released about a month a go and I snapped up a few when Priceline had a sale. My favourite two out of the bunch is Apricot Nectar very summery/spring peach shade, and Autumn Spice a brown multi chrome nail polish and obviously a autumn/winter shade. What first attracted to me to these nail polishes was the cute bottle. These are one of the snazziest nail polish bottles (other than high brands) that I have that look great just sitting on my desk or on my shelves. But what I guess disheartened me from buying them so quickly was the fact that they are scented. To me, scented nail polish just seems so 90's and something that I had as a child, and I imagined the scent to be quite fake. However, these two are not bad at all and smell quite lovely. The Apricot Nectar obviously smells a bit like peach and apricots and isn't too over powering, and the Autumn Spice smells a bit like cinnamon. The colour pay-off of one coat of these polishes is quite good, but I find it requires at least two coats. When worn without top coat it only lasted me about a day before chipping but with a top coat I find that the scent mostly disappears. 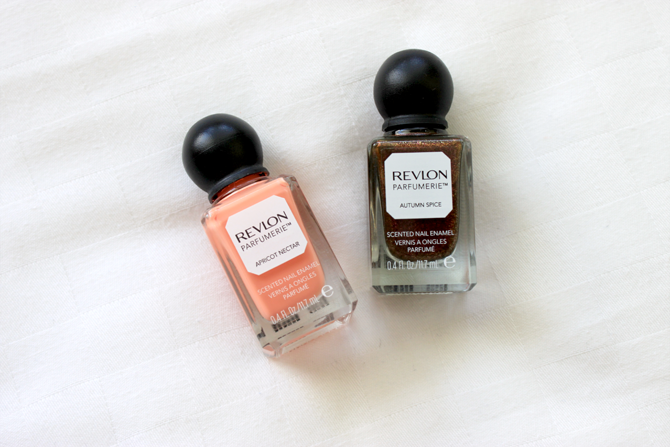 Overall, I like these Revlon polishes but I find the scent a bit unnecessary and prefer them for their colours and cute bottles rather than the smell. 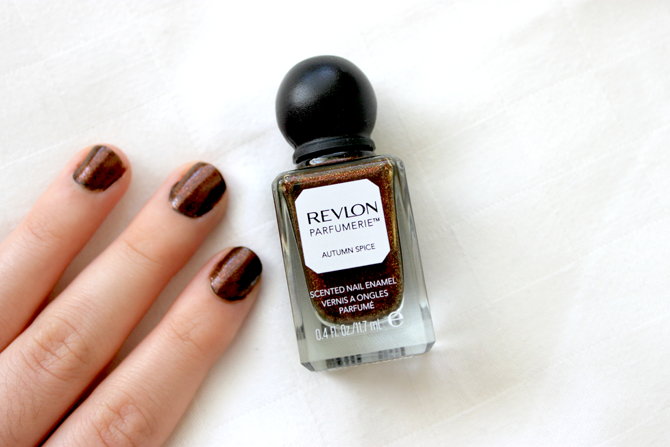 Have you tried the Revlon Parfumerie Scented Nail Enamel's? What do you think about the scent? I've been eyeing up Autumn Spice - the colour is gorgeous! I have to agree with you about the bottles! It has to be the prettiest nail polish bottles ever :) Lovely! The bottles look so cute!! 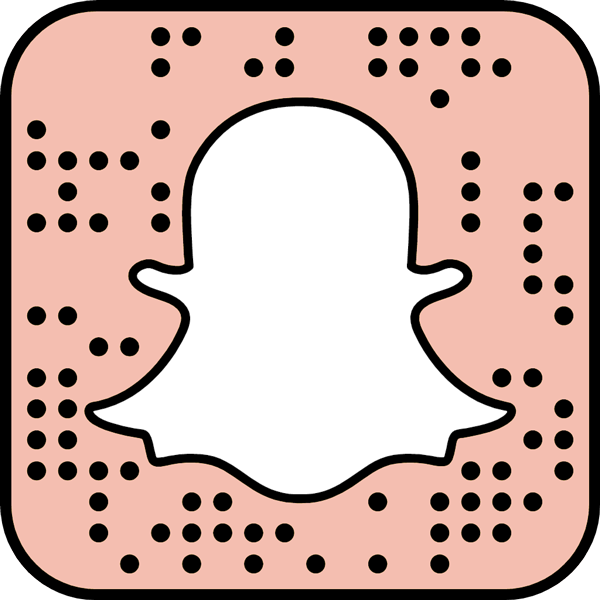 I think I've somehow missed these whenever I've been to Boots or Superdrug, but I definitely need to get some of these the next time im there! Abricot Nectar is absolutely beautiful!! Definitely up my street! That apricot shade is so pretty!